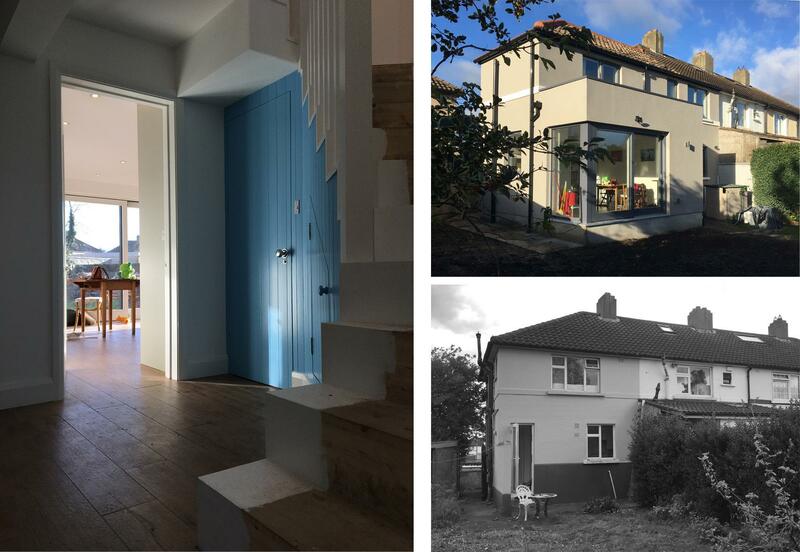 We just completed an extension to a 1950s Corporation house in Crumlin. 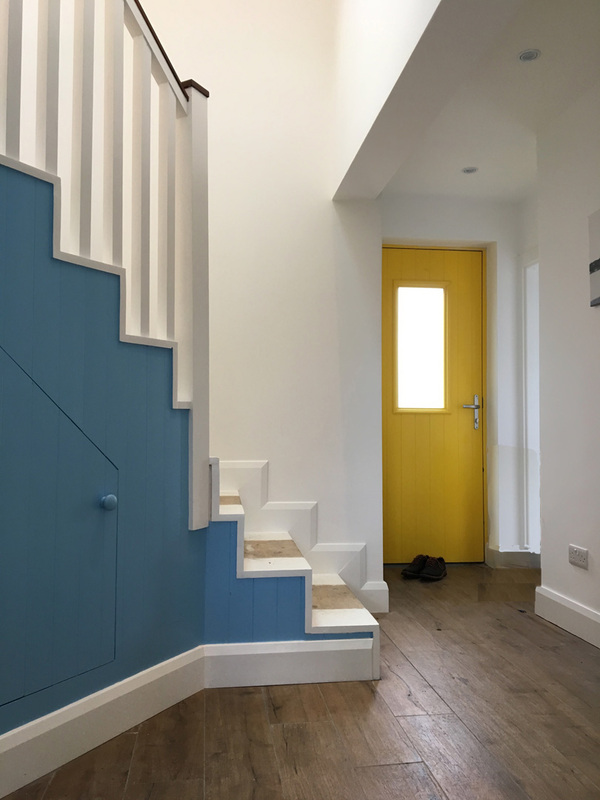 The fact that the house was end-terraced allowed us to move the stairs out of the original house to create a spacious top-lit stairwell in the new extension. The house and extension were externally insulated to modern standards which gave a uniform finish externally and saved on internal space with this compact house type. We will post more photos when available in 2018!